We head to Cork to find out how the best things in life are food! “Cork offers couples and families the very best in life panoramic landscapes, crystal blue waters, endless beaches, dramatic cliffs and some of the finest dining in the world. Here we give you all the insider knowledge you need to pick a gem of a restaurant in Cork, and best of all, some are within walking distance of your cottage! Please visit our site to browse our wide range of holiday cottages in Cork and a huge selection of holiday cottages in Ireland. A resurgence in Irish cuisine has meant there are some surprising and delicious creations now being served up across the country. Nowhere is this change more apparent than in Cork in the south west corner of Ireland, where a plethora of restaurants serving adventurous cuisine now spoils visitors and locals alike. The artisan influence of European cuisine, fused with Irish innovation has been gathering pace for over a decade. In part the gastronomic revolution has been fuelled by economic prosperity, but also by the welcome return of many of Irelands top chefs from Europe. As the Irish dining scene evolved, so chefs who had been practicing their art abroad for many years also returned, and with them came an exciting range of new skills and ideas that helped to fuel the fire of creativity. Its not hard to see how returning chefs have been so inspired by Cork. The lush grass nourishes all manner of flesh and fowl, seafood is richly abundant and fresh vegetables and fruit are readily available straight from the fertile land. Deliciously fresh ingredients picked, prepared and on the plate within hours tastes fabulous, but with the ideas and the sheer skill and vision of the chefs, it becomes less a meal and more a mini revolution! One thing is for sure, Irish dining may be changing, but the Irish love for food remains unchanged. 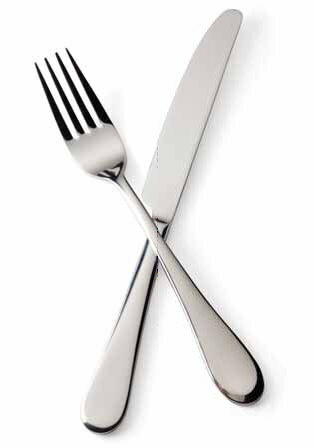 So all the following restaurants offer a winning combination of delicious tastes, generous portions and great value for money. Bon appetit. And did you know that according the Irish only Irish coffee provides in a single glass all four essential food groups: alcohol, caffeine, sugar, and fat. No review of the restaurants of Cork would be complete without at least a passing reference to the legendary Allen family. Ballymaloe House, one of the restaurants that has led the food revolution is run by Myrtle Allen. The Ballymaloe Cookery School is run by Darina Allen. And now son of Wendy Allen, Ivan Whelan carries on the family tradition with Grapefruit Moon. Grapefruit Moon is a winning mix of traditional good food with delicious modern twists. On the menu youll find john dory with a refreshingly spicy watermelon salsa, lambs kidneys flamed in brandy and sumptuously slow cooked lamb shanks. 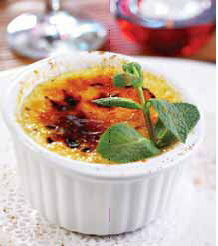 You’ll also find a selection of delectable comfort food desserts including bread & butter pudding and creme brulee. If you’re at the Blue Bell cottage in Whitegate (ref: YCCB) you could even finish it all with an Irish coffee and enjoy a short and scenic taxi ride home. It only serves fresh Irish fish and it only serves it at lunch time! The wonderful atmosphere in the cafe is only rivalled by the heavenly taste of the fish, which is served opposite St Multose Church as well as at a new outlet on Crowleys Quay. 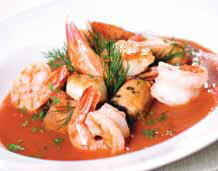 The delicious fish chowder with a spicy tomato and tarragon base, with more than a hint of far Atlantic charm is in no small part due to the fact that the proprietor Martin Shanahan spent a good amount of time perfecting his craft in San Francisco. Just a short drive from the heavenly Walton Court Granary Cottage, Oysterhaven (ref: YYD), you could find you even become a regular! In stark contrast to the veritable abundance of ingredients of Shanahan at The Fishy Fishy Caf, Carmel Somers of the Good Things Caf creates dishes with a cornucopia of flavours with very few ingredients. West Cork fish soup, scones with homemade jam, West Cork ploughmans with stout its all deceptively simple and mind-bogglingly tasty. Adapting traditional Irish fayre such as Irish Flatbread to be the base for her Durrus cheese, spinach and nutmeg pizza is inspired (and melt in the mouth delicious). Ms Somers even offers cookery classes out of season, so it could be time to book your winter break at Ard na Carraig cottage (W31627) and enjoy the short walk to culinary heaven! Overlooking the pretty harbour in Crookhaven Village sits a modest pub that all the locals gush about. Proprietors of the Crookhaven Inn, Emma Jepson and Freddy Olsson transformed the menu at the beginning of 2006 and have had visitors and locals talking about the gorgeous fayre ever since. A pleasing mix of family friendly favourites such as lamb shank braised in red wine, beef and ale stew and deliciously crisp salmon fishcakes are complemented perfectly by a traditional range of desserts that are indulgently satisfying. If youre staying at Ardura Beg Cottage, Ballydehob, Co. Cork (ref: YLV), its only a short drive down a stunning peninsula to a fabulous beach picnic with Crookhaven Inn crab sandwiches! Photo competition; August winners ! I have been trying to add your site to my feed reading software, but it won’t let me. I can do that with your feed, right?